"Kilt, noun. 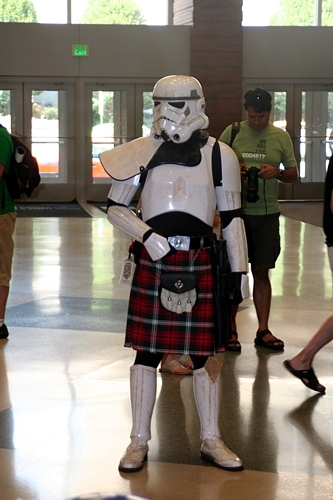 A costume sometimes worn by Scotchmen in America and Americans in Scotland." There are few things more iconic to Scotland than the tartan kilt. It was, in fact, so culturally symbolic that the British government enacted laws that forbade Highlanders to wear it following the 1745 Jacobite Rising. Although it is a traditional Highland costume, the nationalism associated with the dress is a recent development stemming from the Romantic revival of the nineteenth century. Only after Sir Walter Scott orchestrated the ceremonies for King George's visit to Scotland in 1822 did Lowlanders and the Scottish diaspora adopt the tartan kilt as a symbol of national identity. The kilt today is worn most often on formal occasions or at Highland Games, though in recent years it has been adapted as a fashionable item of informal clothing. The history of the kilt stretches back to the end of the sixteenth century. The first mention of a belted plaid as we know it appeared in 1594 in The Life of Red Hugh O'Donnell, by Lughaidh O'Clery. 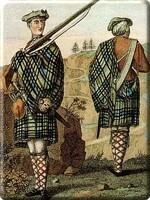 O'Clery described the Highland soldiers who had come to fight in Ireland as hired mercenaries, noting that "they were recognized among the Irish soldiers by the distinction of their arms and clothing, their habits and language, for their exterior dress was mottled cloaks of many colours with a fringe to their shins and calves, their belts were over their lions outside their cloaks." 1 Up to this time, the plaid cloak had been pinned, wrapped, or folded. The fact that the cloak was belted on the outside distinguished this type of costume from other types of tunics. Prior to the sixteenth century, there was no real difference between Irish and Scottish dress. The men went bare-legged, wearing short, long-sleeved tunics (the Irish leine) underneath woolen cloaks, or "brats". Depending on the wearer's wealth, the cloak might have been covered with a checkered or tartan pattern. As wool became more available during the sixteenth century, the cloak grew to such a size that people began to gather it up and belt it. The belted plaid, or the great kilt, was originally an 8-yard length of thick wool made up from two loom widths sewn together to give it a total width of up to 60 inches. This garment was gathered into pleats, wrapped around the waist, and secured by a wide belt. Half of its width hung to the knees while the other half was tucked up and pinned over the left shoulder. In bad weather, it could also be brought up over the head to be worn as a cloak. Military units also used the belted plaid as sleeping bags when outdoors: one plaid would be spread on the ground. Then four men would lie on top of it, leaving a space in the center for a fifth man. The fifth man would cover them with a second plaid, over which he would spread armfuls of heather before laying down the remaining plaids and slipping into the center space. Body heat plus the thick layers of wool provided adequate protection against cold Highland winds. The garment was loose-fitting to allow men could move quickly in it; it was thick and absorbent to allow them to wade through rivers without shivering; and offered enough padding to make comfortable beds from woods and rocks. It was, however, customary to remove the kilt before a battle and set it aside, the Highland charge being made in only the tunic. 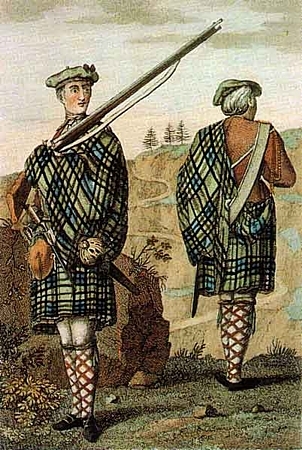 The short kilt, or philabeg, appeared sometime in the late seventeenth or early eighteenth century, consisting of single width of cloth belted around the waist. Essentially the bottom half of the great kilt, it became quite popular in the Highlands and northern Lowlands. A Lancashire Quaker, Thomas Rawlinson, helped to popularize the shorter kilt in the 1720s after he quickly deduced that it would be a much more appropriate garment for the workers in his new charcoal production facility than the great kilt some of them wore. Rawlinson liked the short kilt so much that he began to wear it at home, and was soon imitated by his neighbours, the MacDonnells of Glengarry. 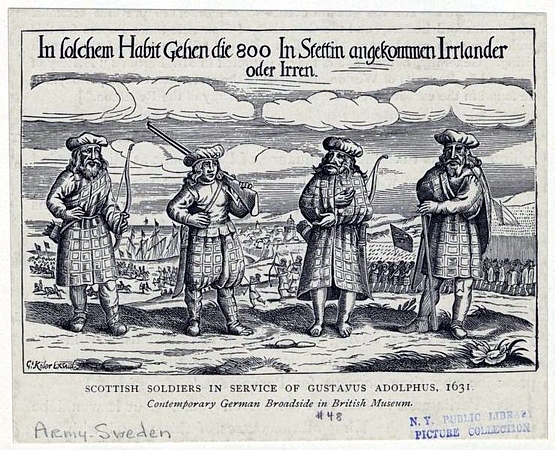 After the 1745 Jacobite Rising, however, the British government sought to assimilate the Highlands by crushing the clan system and removing all vestiges of Scottish culture. One of the ways it attempted to do this was by passing legislation that banned all forms of traditional Scottish dress. The Dress Act, passed in 1746, remained in effect until 1782, after kilts and tartans had fallen out of use as daily dress. Around that time, leading Lowland Romantics were idealizing the "primitive" Highlanders, people that had once been feared. The Highland Society of London, which was founded in 1778 "for relieving distressed Highlanders at a distance from their native homes [and] for preserving the antiquities and rescuing from oblivion the valuable remains of Celtic literature," was one such Romantic organization, and its efforts were instrumental to lifting the Dress Act. As such ideas flourished, the kilt, along with other features of Gaelic culture, became a piece of romantic nostalgia after the Jacobitism with which it was identified ceased to be a real danger to the establishment. The first modern kilt as it is known today appeared in 1792. In the possession of the Scottish Tartans Authority, this modern kilt was not folded, but rather had pleats sewn into it. This article of clothing could now be donned with greater speed; such a development widened its appeal among the Scottish regiments serving in the British Army. (Highland regiments had been donning the belted plaid as their military uniforms since the seventeenth century, and had been exempt from the Dress Act. Impressed by their fierceness, the British government employed many Highland regiments in the Royal army in the aftermath of the Jacobite defeat.) The tailored military kilt passed to the civilian market during the early nineteenth century. It finally became a symbol of Scottish national identity with the pageantry of King George IV's 1822 visit to Scotland. Orchestrated by Sir Walter Scott in conjunction with the Highland Society of London, the balls and banquets at which the king was the guest of honour established new traditions such as clan identification by tartan. 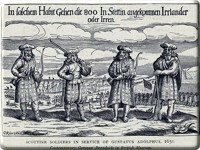 (Prior to this, tartans were identified with regions rather than specific clans.) 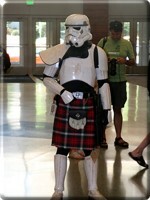 As images of the king decked out in spectacular Highland garb circulated, the kilt's appeal widened. Identified as an emblem of Scottish culture by antiquarians and romantics, the kilt had become a vital part of the Scottish national identity by the mid-nineteenth century. It has remained popular ever since.